Ambala is one of the district in the north Indian state of Haryana. Ambala RTO conducts multiple activities to ensure smooth transport and traffic in the city. Transport commissioner heads the operations of RTO in Ambala. 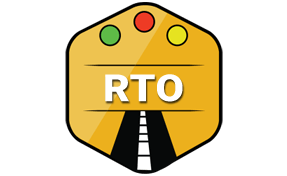 Motor vehicle act of 1988 has documented all the rules for the establishment of its RTO. Ambala RTO assists in issuing vehicle fitness certificates to all modes of transport running in Ambala. In order to provide the same vehicle emission tests are being conducted. It also assists in managing the pollution. The utilization of allocated funds is another vital task of Ambala RTO. It ensures all the activities that contributes to the transport wellness. Vehicle registration is one of the essential tasks of Ambala RTO. Registration copy (RC) is one of the mandatory documents for all modes of transport. RTO in Ambala can easily issue it after getting all the mandatory documents from the vehicle owners. Any changes in RC is also facilitated by Ambala RTO. Vehicles from other states are only permitted in Ambala if they get the NOC from it's RTO. They may be allowed for a period of 3 months. After that, they must take NOC after visiting the RTO office and doing the needful. All the vehicle dealers can get the required permission or documents from Ambala RTO. Regional Transport Officer ( RTO ), Ambala, Haryana - 133001.